The members of the Justice League are Earth's most powerful and famous superheroes…but they aren't the only team in town. The Suicide Squad strikes from the shadows and does the jobs too dirty for superheroes to handle. Under the iron fist of Director Amanda Waller, these monsters and maniacs have operated in total secrecy…until now. Batman is on their trail and the Squad's existence isn't something he or the Justice League can tolerate. It must be shut down. 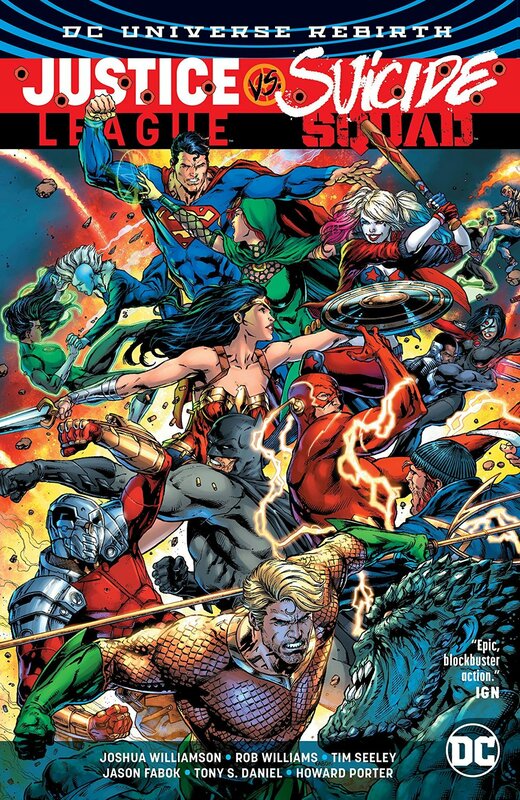 But while the heroes and antiheroes are distracted fighting each other, twisted mastermind Maxwell Lord assembles a nightmarish army of DC's deadliest villains to take out both teams!